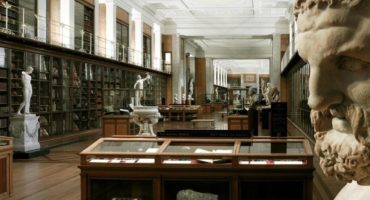 Our Cultural institutions Page highlights our ongoing support of museums and cultural institutions with free accounts and access to tools. In Cultural Heritage Spotlight, we’ll explore museums and cultural institutions who are using 3D technology to bring new life to their collections. Today’s blog post features CyArk, a nonprofit organization which goal is to capture, archive and share the world’s cultural heritage. The rate of heritage loss around the world is staggering and accelerating. From rising sea levels to the tragic spike in intentional destruction, our common heritage is under threat. We cannot physically preserve every site around the world, but with reality capture technologies, we can digitally preserve a vast number of them and provide virtual access for the generations of today and tomorrow. CyArk is a nonprofit organization based in California with the mission to capture, archive and share the world’s cultural heritage before it is lost to natural disaster, destroyed by human aggression or ravaged by the passage of time. The organization has archived over 200 sites spanning 43 countries and all seven continents with an eye towards their perpetual preservation. 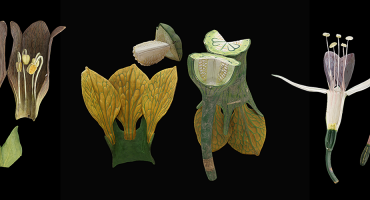 CyArk has released a number of models through the Sketchfab platform and will continue to add new sites and experiences throughout 2016 and beyond. And, if you have a google cardboard you can even view CyArk’s models in Sketchfab’s native VR just by clicking the VR button! One such site available to explore is the complex cave and rock shelter of Laas Geel which lies just 30-45 minutes outside of Hargeisa, the capital of Somaliland, a self-declared republic and autonomous region of Somalia. Exhibiting outstanding Neolithic rock art, the sites’ polychrome cave paintings are considered to be some of the best preserved rock paintings in all of Africa, and are essential to the Horn of Africa’s historical and heritage legacy. These rock art sites are endangered from a number of factors, both natural and human caused. The sites of Laas Geel and nearby Dhagah Kureh (not pictured) inform us about the earliest pastoralists in the Horn of Africa and agricultural societies 5,000 years ago. These sites reveal that between the third and second millennia BC, the herding of humpless cows, sheep and goats, as well as the hunting of antelopes, giraffes, and other wild animals, was the basis for economic subsistence, suggesting a much greener environment than today. CyArk documented the site in September of 2013 in partnership with the Government of Switzerland, the International Center for the Study of the Preservation and Restoration of Cultural Property (ICCROM) and The Horn Heritage Charity and has developed 3D models as well as a virtual tour of the site you can access through their website. This model was created from terrestrial LiDAR scanning which is CyArk’s preferred tool when working in spaces with complex volumes like a cave system. 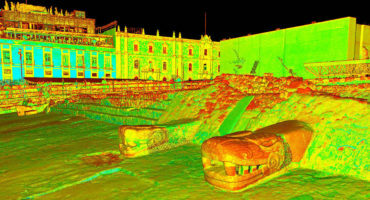 A video describing laser scanning is included here. For this type of data, CyArk uses a meshing process to create its models which creates a solid surface from the individual data points. Unlike traditional modeling, this preserves the site’s true geometry and surface texture rather than simplifying it into regular shapes. A further illusion of realism is added by projecting photographs onto the model which provides accurate color as well as realistic textures. Mesh modeling yields an object with between 2-3 mm of accuracy. This was one of CyArk’s earlier mesh models and served as a sort of testing ground for their internal workflows. At the time of the project, the team would plan to spend two days processing and working with the data in their offices for every day spent in the field. As the progression of software has improved over time, this ration has been dramatically reduced. CyArk continues to actively document sites around the world as part of its mission to capture, archive and share the world’s cultural heritage. If you want to help ensure that historical sites around the world live on in digital form, you can support CyArk’s work through a donation via their website, cyark.org/donate.